Phones are fiddly, it is easier to create a new Alpaka account online, but you can also create an account in the Alpaka Punch app - here is a quick guide through that process. If you have a colleague who is already using Punch and you wish to collaborate as a team you do not need to create your own new account - just ask them to add you to their account. The screen shots are for iOS but it is exactly the same experience on your Android device. Alpaka Punch is a great time tracking app - but it comes with a more powerful secure website where you can administer your team and timed tasks, build reports and download timer details. We need a genuine email address so we can send you access details for the partner website. Your data is private, we will never share your email address with 3rd parties. 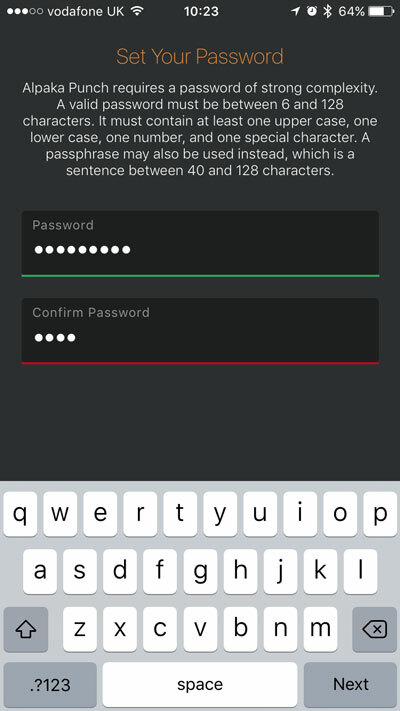 Your password needs to be secure. You might add client and staff information to Alpaka and so passwords have a minimum security requirement so we can keep your data safe. 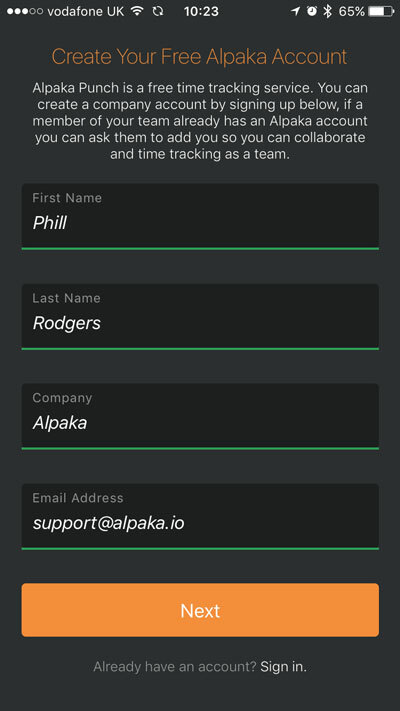 With Alpaka you get to have your own name in the url you for the admin website - this is called a tenant and it helps your team to remember the address, increases security and makes you feel at home. 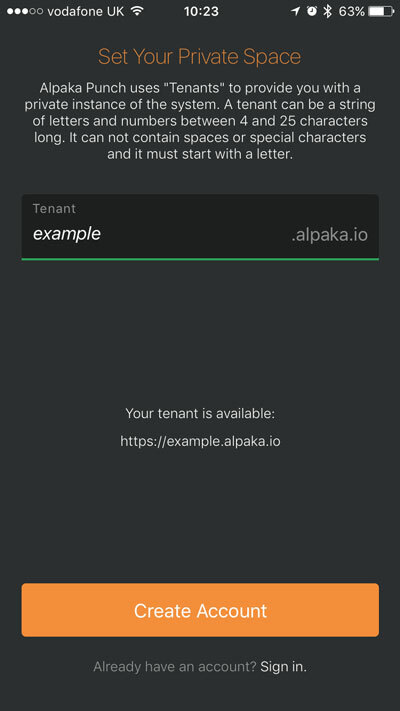 Like your email address, a tenant needs to be unique, if the tenant you want is taken it could be one of your team who have previously created an account - if this is the case you do not need your own Alpaka account, ask them to add you to theirs so you can collaborate on your time management.